© Hill Harow Books, All rights reserved. 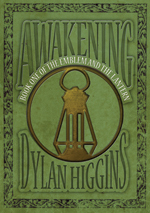 Awakening is the tale of, twins, Ethan and Eisley Lambent’s spectacular journey into adulthood. The book opens with the twins preparing for the Awakening ceremony: an observance that will mark the siblings passage into adulthood upon their thirteenth birthday. However, only days before the ceremony the Lambent twins learn of an ancient family secret that will lead them on a perilous journey into the unknown. Leaving their home, Glæm: a country of undying light, Ethan and Eisley are drawn into a land of never-ending darkness called Gloam only carrying one source of light: an old lantern, a family heirloom with mysterious qualities.